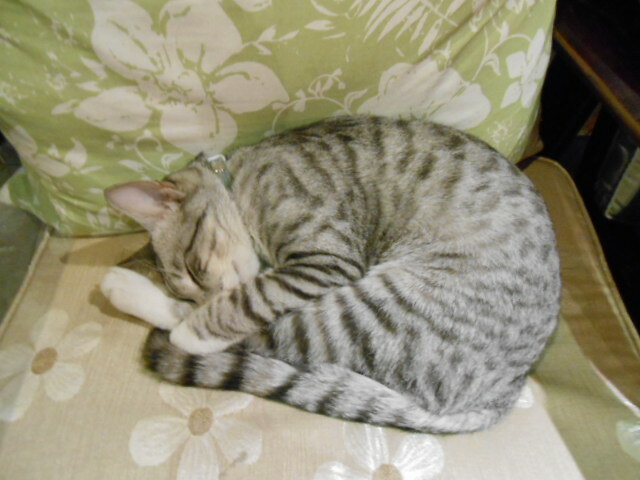 This cafe is more of a cafe with a cat rather than a cat cafe, but the cat is cute and friendly and worth visiting. 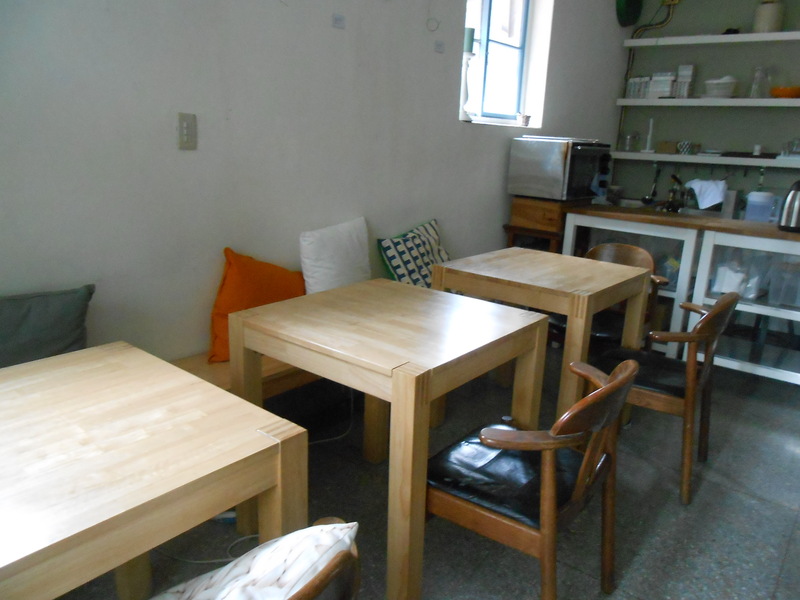 The cafe is in a traditional old building and has indoor and outdoor seating on two floors. 這咖啡館不算貓主題咖啡但是有一隻可愛的貓. 是在一個古老的房子, 人可以坐裡面或外面. 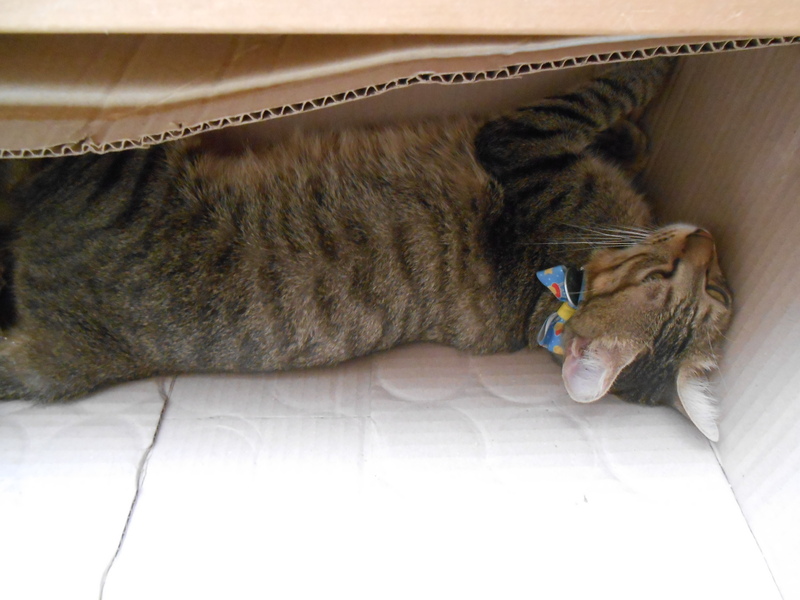 The cat was stretched out in a box at the back of the cafe, but he was happy to be petted. 貓在後面躺在一個盒子, 但是他喜歡人摸她. 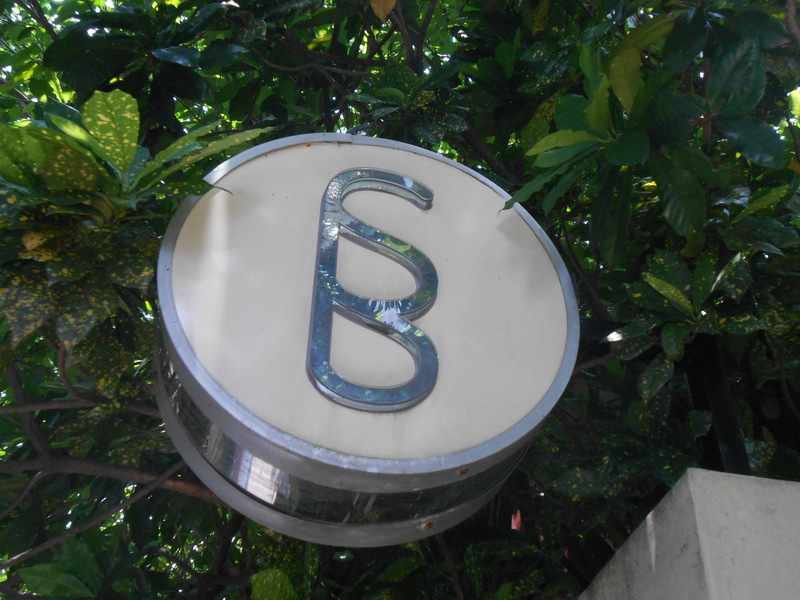 The menu has a good variety of brunch and lunch options. 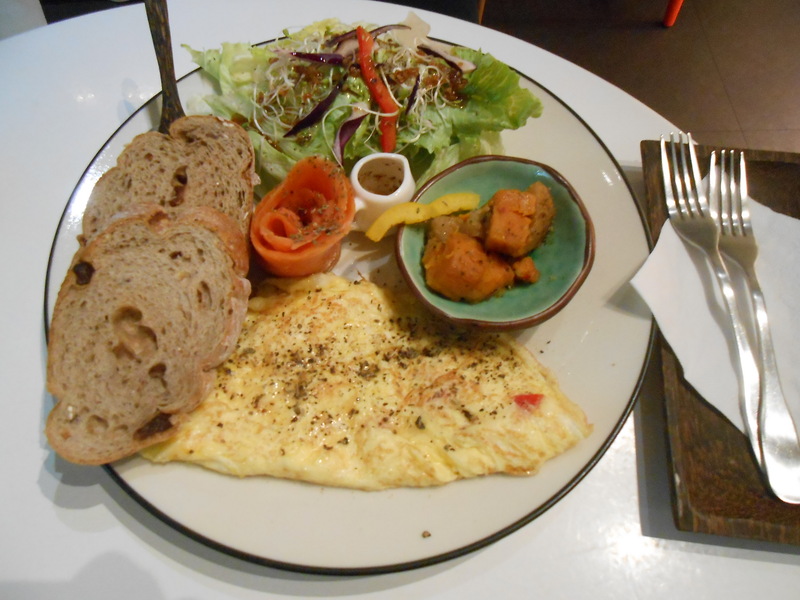 Rebecca ordered a salmon omelette (NT$200) and I got a double mushroom ‘burrito’ (NT$180), which was actually a pita. We also both got berry smoothies which were huge and had lots of real strawberries and blackberries in them. 菜單有早午餐還有其他簡餐. 我朋友點一個鮭魚煎蛋捲套餐(NT$200), 我點雙香菇’burrito’ (墨西哥捲) (NT$180), 但是不是’burrito’, 是’pita'(圓麵餅), 還是好吃. 我們兩個喝莓果冰沙 (NT$160), 很大, 很好喝. 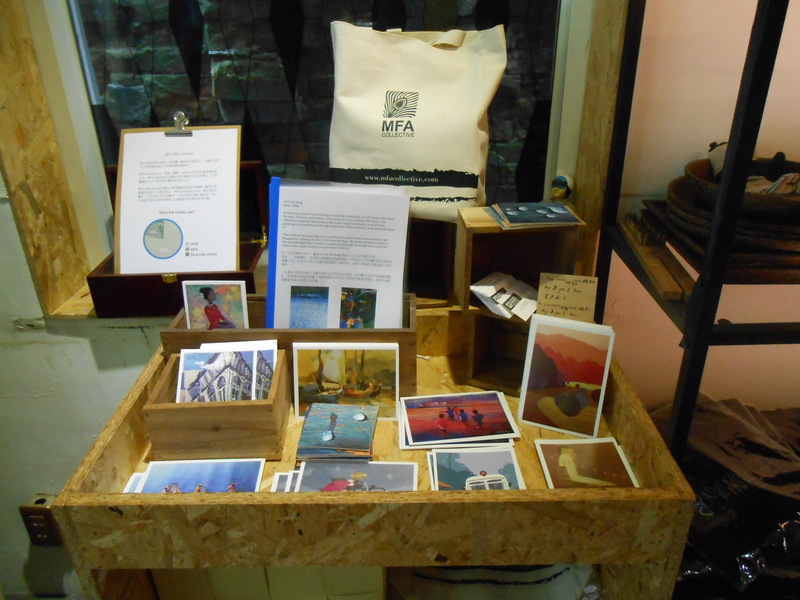 The cafe also sells postcards and other gift items, although most aren’t cat-related. 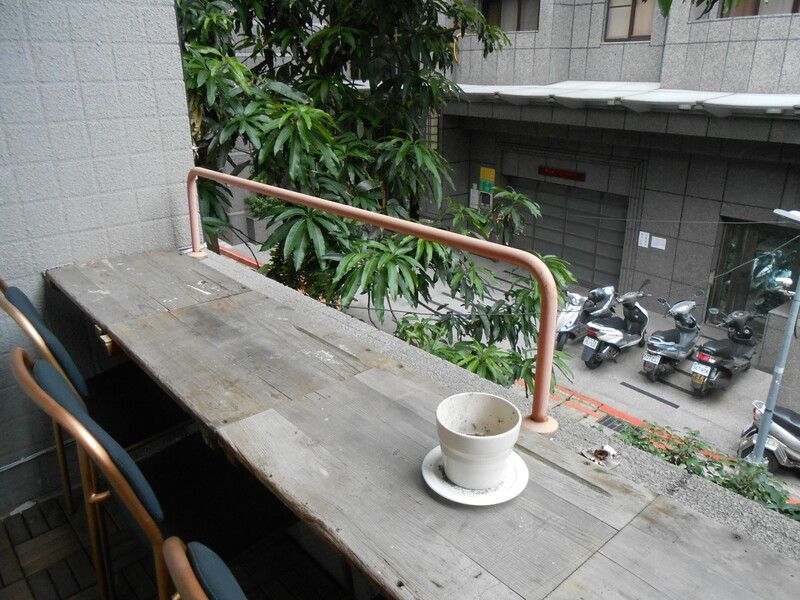 It has wi-fi and outlets, so it would be a good place to work or study. 咖啡館也在賣文具, 其他物品. 有無線網路, 還有插座, 所以是一個好地方讀書, 工作. 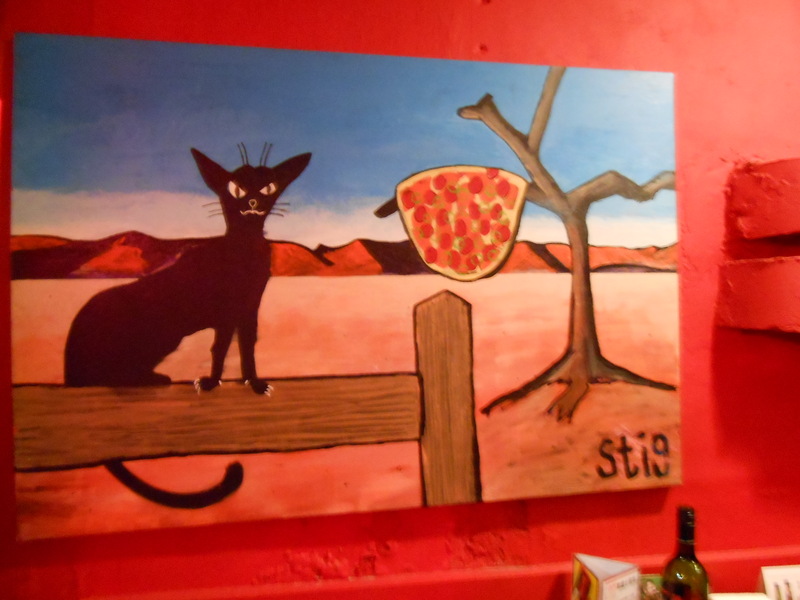 The Lishui Street Alleycat’s is the original of a chain of pizza places around Taipei. 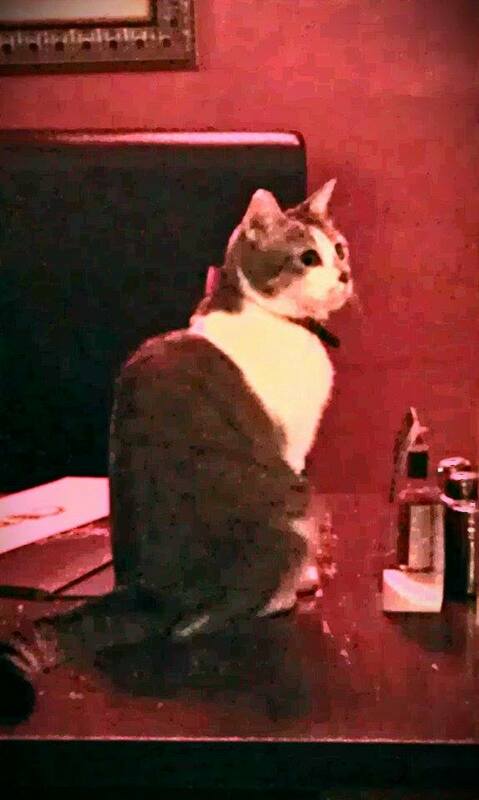 This year is its 10th anniversary, and it is still home to the original namesake cat, Alley. 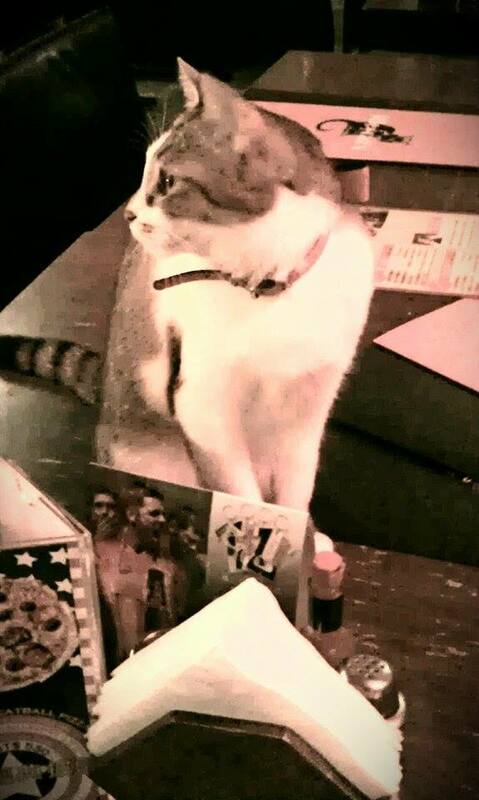 They’ve tried bringing in other cats, but Alley didn’t get along with them. 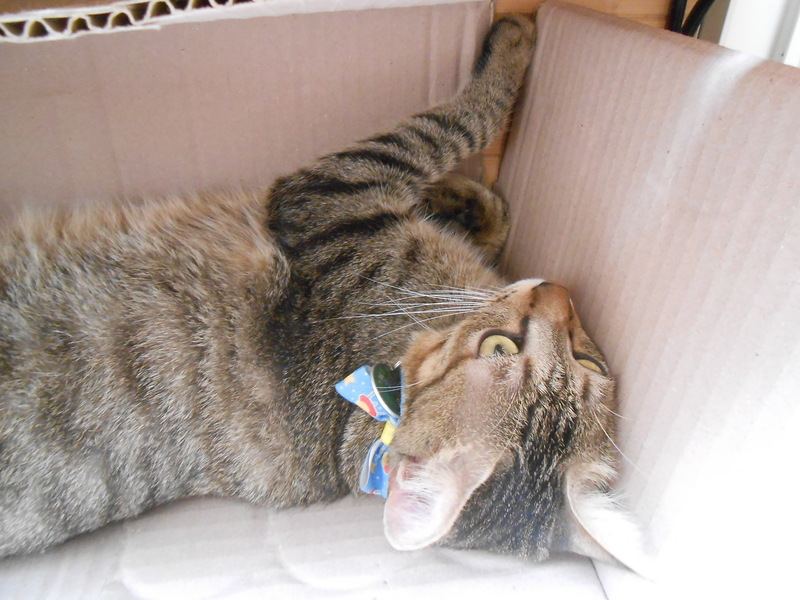 Now, there are two cats at the Tianmu branch and at least one at the Huashan branch. 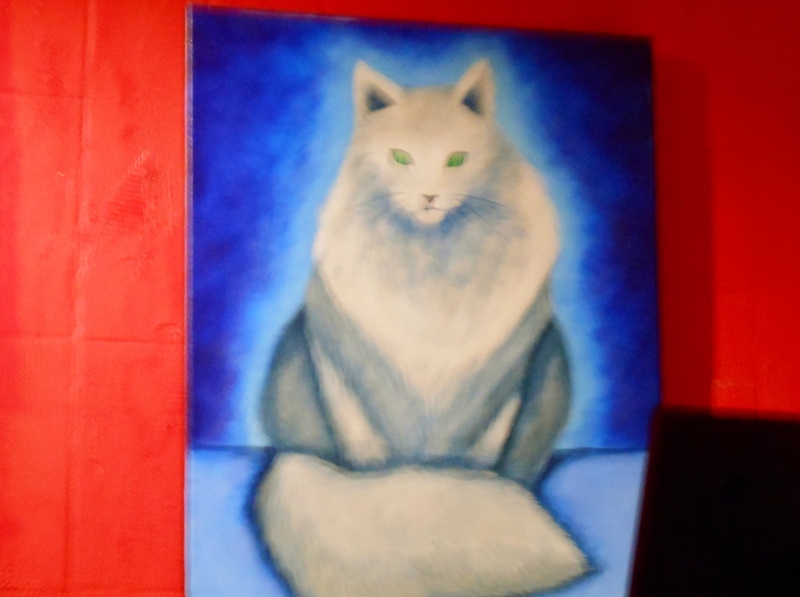 It has not been confirmed whether the seven other branches have cats: http://www.alleycatspizza.com/alleycats/Web/Locations/index.aspx?StoreNo=4. 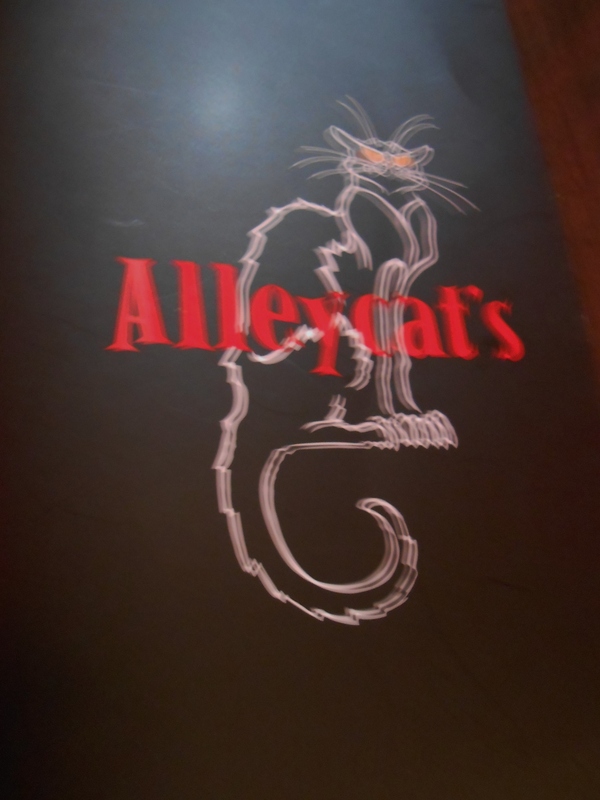 I went here with my friend Rebecca, and thanks to her for getting much better pictures of Alley than I could. 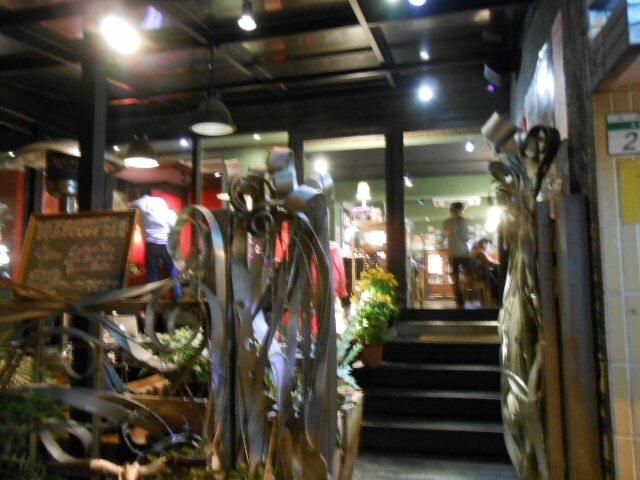 We had garlic bread (NT$100), which comes with a very good Caesar dressing dip, and a Napoletana pizza (tomato, goat cheese, olives and spinach NT$470). 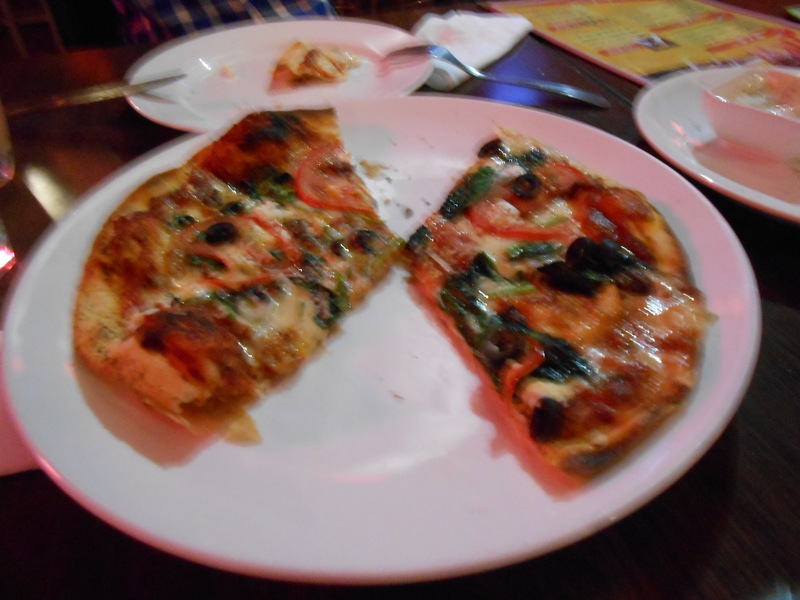 The pizza was delicious and there are many varieties to choose from. There are also plenty of drink choices available. 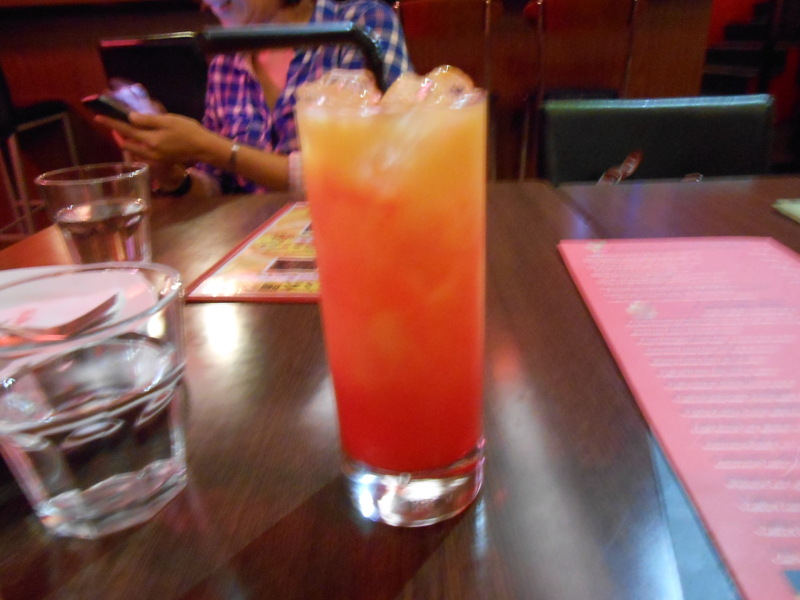 I had a tequila sunrise. 我們吃香烤大蒜麵包(NT$100)還有那不勒斯披薩(生鮮番茄、羊奶起士、鯷魚、橄欖和菠菜NT$470). 披薩很好吃, 有很多口味可以選. 還有很多飲料. 我喝墨西哥日出 . 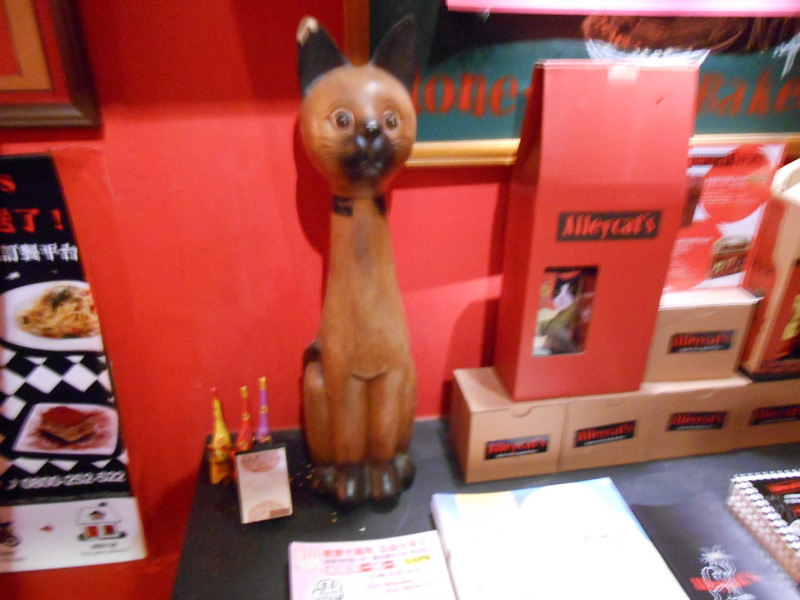 Cat themed decorations are all around, some of them cute, others a little creepy. 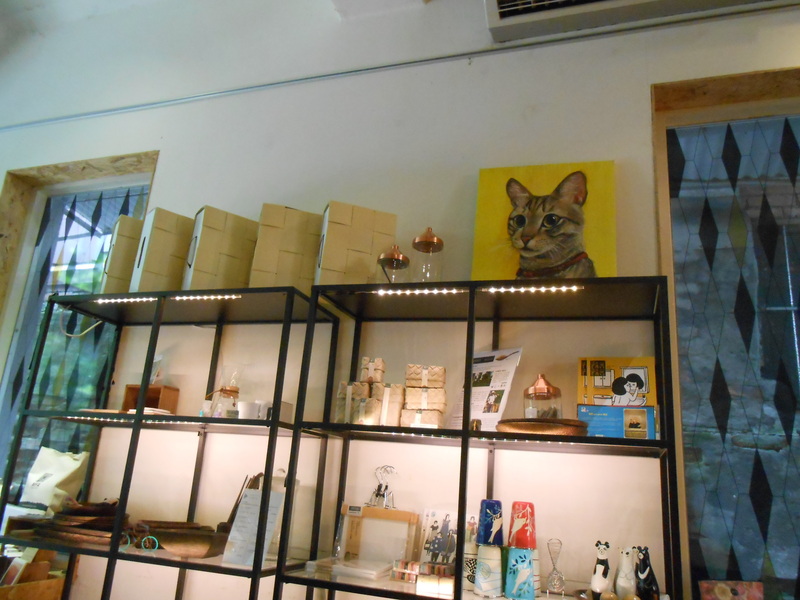 Located on Yongkang Street, this cat cafe appears unremarkable among the other cafes and restaurants in the area. And it is. 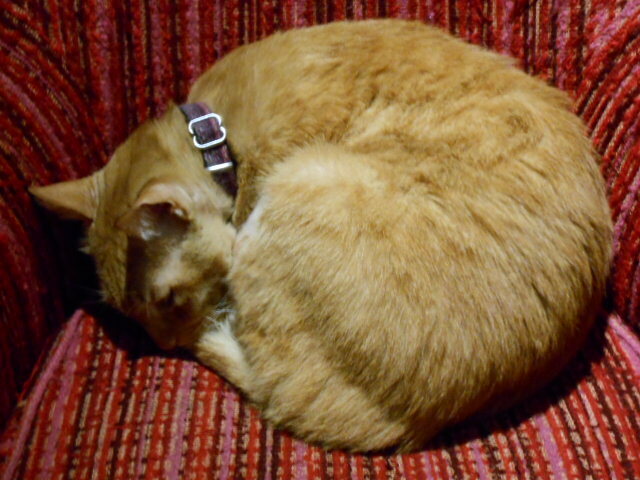 Except for having two nice cats who were asleep, it’s not really different from any other overpriced cafe in a popular shopping area. 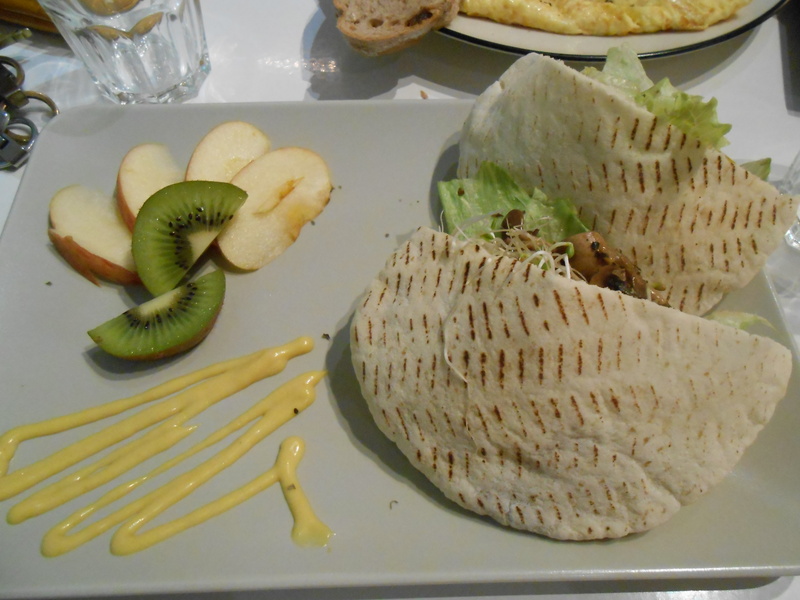 The menu is typical without much variety. 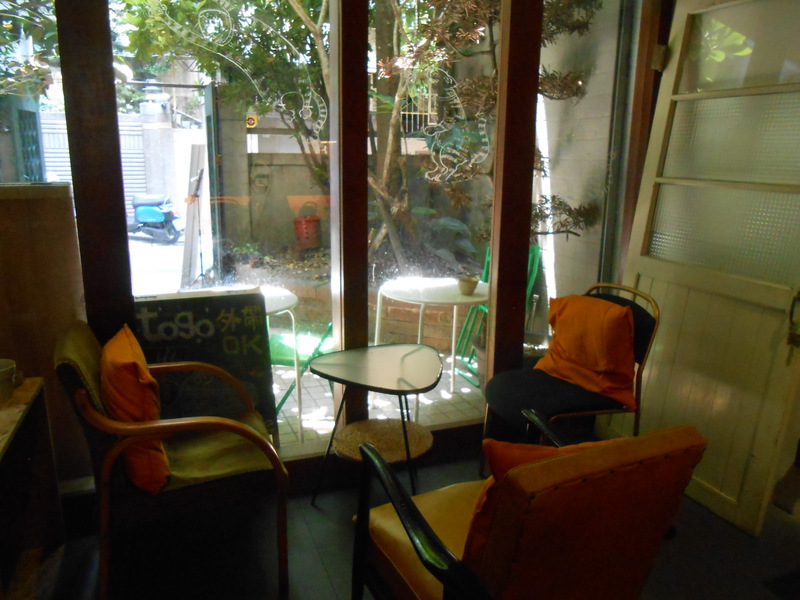 An Americano is NT130, and since I’d just gone to the Cuckoo’s Nest, I didn’t order any coffee. 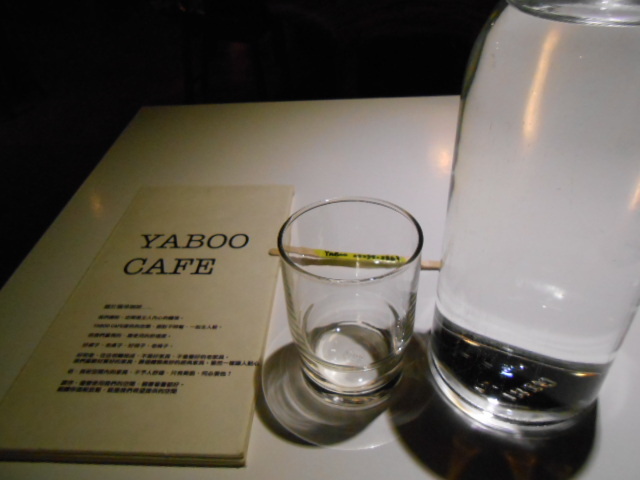 I had a panini (NT$180) and water. 永康街有很多咖啡館,餐廳, 這間貓咖啡看起來沒有什麼特別. 真的沒有什麼特別. 好處時牠們有兩隻貓,都在睡覺. 除了貓以外,這一間比較無聊,有點太貴的咖啡廳. 菜單沒有什麼特別, 美式咖啡NT$130. 因為那天我剛去杜鵑窩, 我美有點咖啡. 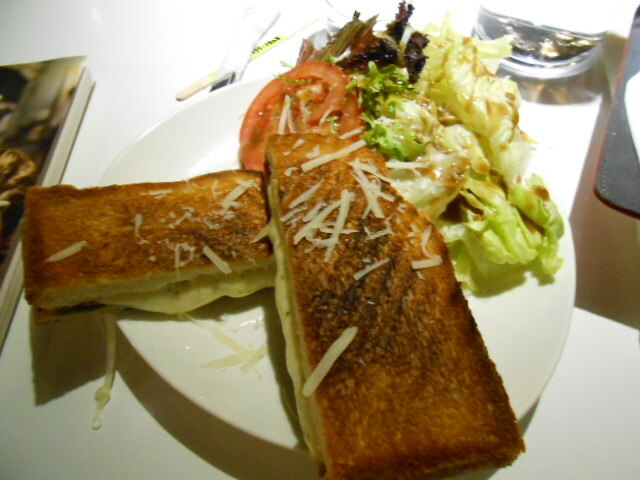 我吃panini,喝水. The sandwich was pretty good; it had plenty of cheese on it. 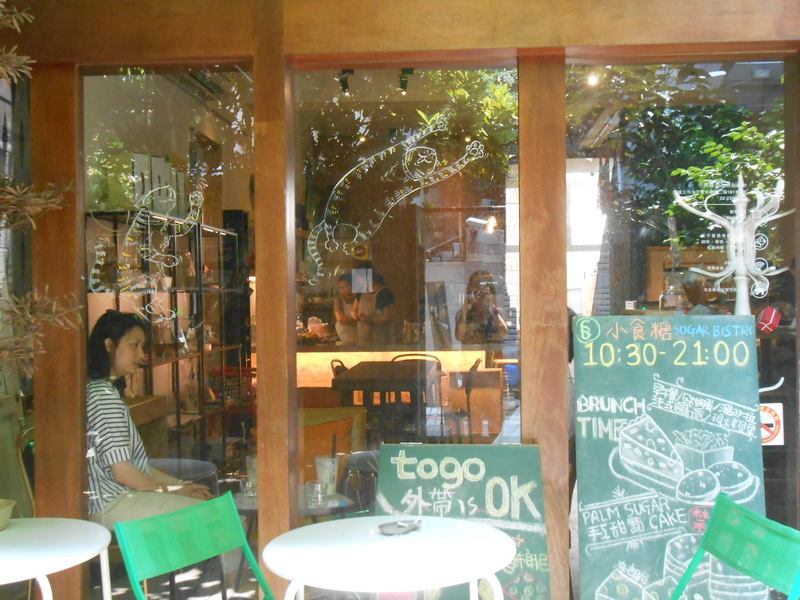 This cafe is ok if you happen to be around Dongmen, but not really worth going out of the way for. 三明治還蠻好吃, 有很多起司. 如果你在東門, 這咖啡館還好, 但是我不會特別想去.